Once you start exercising, you naturally develop a desire to know which exercise will help you most. In other words, you crave for an exercise that will work out all parts of our body.Apparently, there are a number of such exercises. One of them is Burpee exercise. Going by the Oxford English Dictionary, Burpee exercise is named after Royal H. Burpee, an American psychologist. Though its name sounds funny, Burpee is also funny in action. 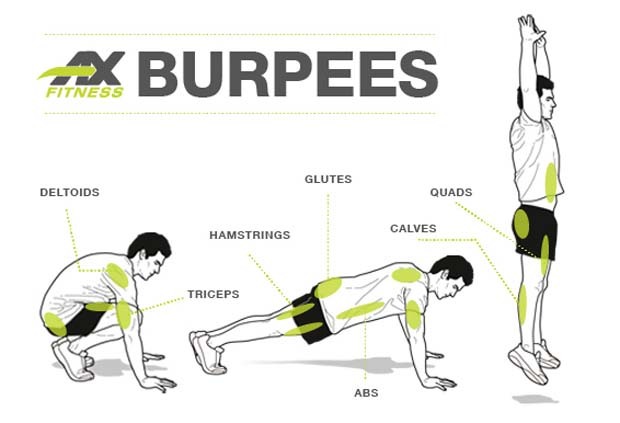 Burpee is a combination of pushup, a squat, a second squat, a leap in the air and a second leap. Burpees require one to put in extreme effort in order to complete them. 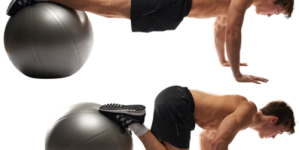 Burpee is listed among the best core exercises. 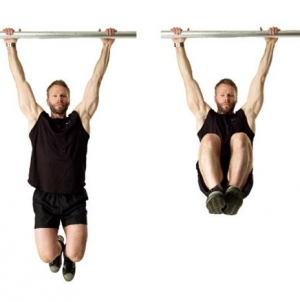 This is because it combines many jumps with intense workouts hence burning a high percentage of body fat. The number of calories burned in this exercise is 50% more than calories burned using different types of strength exercises. There are many benefits of using Burpees. One of them is that it is among the best full body exercises. Besides being an ideal exercise for strength training, it also a great aerobic exercise and it can also be included in aerobic workouts. ?Every single repetition of Burpee will leave arms, thighs, hamstrings and chest front deltoid muscles toned. The other benefit of this exercise is that it speeds up metabolism, causing the body to burn more calories long after you have finished exercising. This exercise further helps in building endurance. That’s the reason why it is an integral part of endurance training. You don’t need to have a machine to perform this exercise which is its main advantage of other exercises. You can also perform this exercise when you are at home or anywhere you feel like. The amount of calories burned by the body does not depend on weight alone since a lot of weight will require a lot of energy to move, but also depend on the intensity of a physical activity, your metabolism as well as conditioning level. It is estimated that these high-intensity workout intervals burn between 8 and 14 calories per minute. One of the most significant factors is the amount of effort you put into your workouts. It is important to push yourself as far as you can to ensure you burn the maximum number of calories per minute. Doing Burpees nonstop in one hour can help a person weighing 155 lbs burn more than 563 calories. When used by a person weighing 130 lbs, they will burn more than 472 calories. For someone with 180 lbs, they will burn not less than 645 calories. For those weighing 205lbs, they will burn more than 745 calories. So you can do some math and get the answer, for example if you do 10 minutes nonstop, and you are 155lbs, you burn 563/6˜ 94 calories.